White people don’t want to talk about racism because most of them deny it is even there. 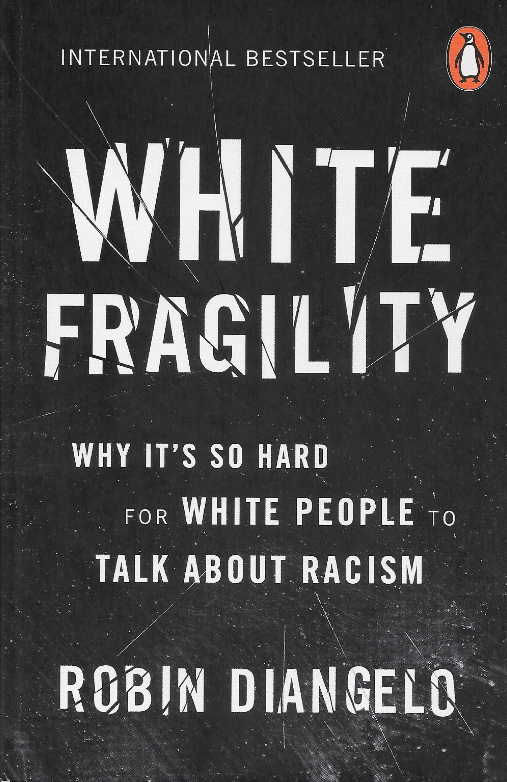 This book explains why it is so hard for white people to talk about racism – a practice not restricted to “bad people.” The author is a white woman. White fragility refers to whites finding the smallest amount of racial stress intolerable. The mere suggestion that being white has meaning leads to defensive responses such as anger, fear, guilt, argument, silence and withdrawal. These responses reinstate white equilibrium, repel the challenge, return racial comfort to the situation and maintain racial dominance. It is born of superiority and entitlement. It is much more than defensiveness or whining – it is the sociology of dominance. Racial bias is largely unconscious. Denying it and being defensiveness merely protects bias whilst simultaneously affirming our apparent open-mindedness. We can’t change what we refuse to see. Despite good intentions, white progressives cause the most daily damage to people of colour. White progressives are anyone who thinks they are not racist, and that they ‘already get it.’ This stance is rooted in two crucial Western ideologies: individualism (we are all unique and stand apart from others) and objectivity (it is possible to be free of all bias). According to these beliefs, race is irrelevant. White supremacy is never acknowledged, which protects it from examination and holds it in place. It describes the culture we live in, not the extreme actions of a few. The white racial frame is made up of thousands of stored bits – circulating through films, television, news, media, and stories. White solidarity is the unspoken agreement among whites to protect white advantage and not cause another white person to feel racial discomfort by confronting them when they say or do something racially problematic. The functions of white fragility are to close off self-reflection, trivialise the reality of racism, silence the discussion, make white people the victims, hijack the conversation, take race of the table, and protect white privilege. The antidote to guilt is action. A lot of white readers will find this book uncomfortable, but they should read it. The perspective here is based on the USA, but much of it still applies.